The new quick release method mould is the perfect mould for pellets and groundbait. 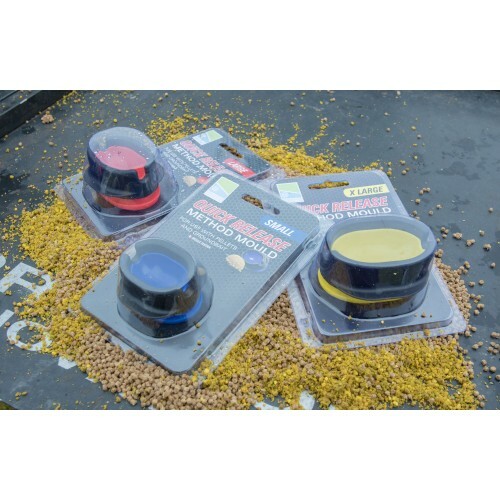 The new design reduces bait sticking in the mould and the new wings make it easier to compress your feeder into the bait and the large release button makes it’s so much easier to eject your feeder. 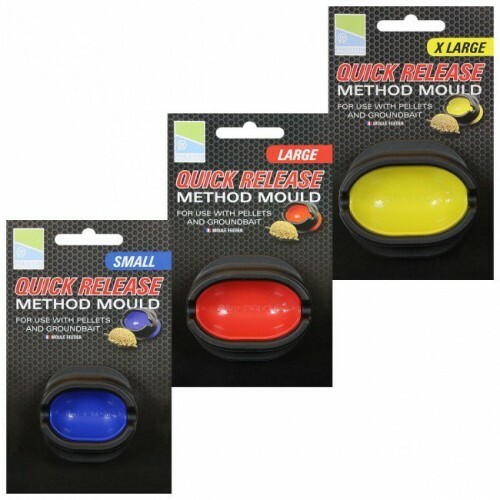 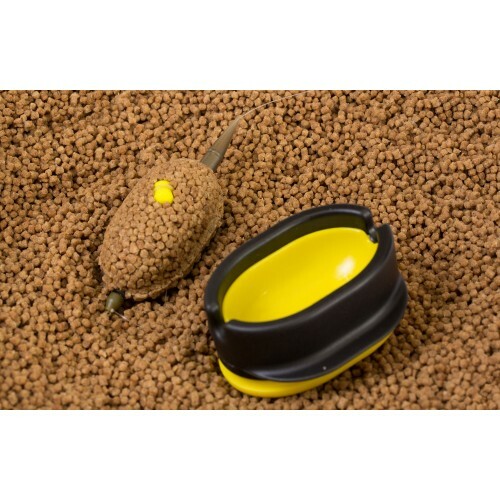 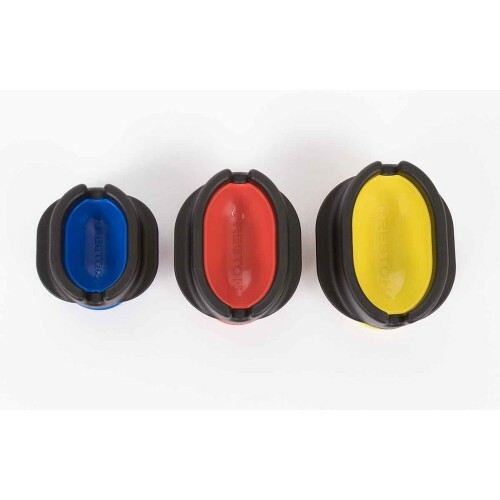 These method moulds quickly form a prefect feeder full of ground bait or pellets every time and ensures a consistent amount of bait is on the feeder every cast.